A catered lunch will be provided at 12:30pm. Please RSVP to recpt@kirby.unsw.edu.au by 11am Monday 4 February. Rowena Tucker is the Program Team Leader, at SPHERE. She joined SPHERE in October 2017. Formerly, Rowena was Executive Officer of Paediatrio, a formal joint venture between Sydney Children’s Hospitals Network, Children’s Medical Research Institute and Children’s Cancer Institute, established to integrate paediatric research across Sydney. Prior to that, Rowena was CEO of the Diabetes Vaccine Development Centre which was focussed on translating Type 1 diabetes research into improved clinical outcomes – prevention and therapy. 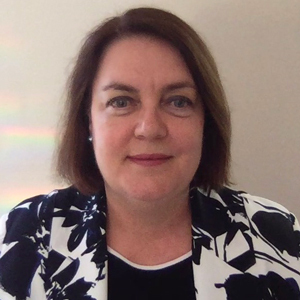 Before joining DVDC, Rowena was the Director of Medical Research at the NSW Office for Science and Medical Research where she led the development of policies and strategies aimed at supporting and building medical research capacity in NSW. Rowena holds a Master of Science Degree from UNSW. Maridulu Budyari Gumal (SPHERE) is one of Australia’s Advanced Health Research and Translation Centres, bringing into partnership the research, innovation and education ‘engine rooms’ in leading universities, health services and medical research institutes with the ‘front-line’ of healthcare delivery in our local health districts and health networks. SPHERE aims to accelerate clinical research and innovation and rapidly translate new knowledge to improve health outcomes for patients, families and the broader community. Support and enablement for clinical trials is a well-recognised vehicle to drive research translation, in particular the conduct of clinical trials linked to healthcare delivery. SPHERE is in the process of developing a detailed strategic plan to facilitate and enhance clinical trials activities across our partnership.